Many primary players of printers will be caught in a dilemma before buying a printer. There are a variety of printers on the market, the most basic ones are inkjet printers and laser printers. What should I choose for inkjet printers or laser printers? The key is what features you need and where you use them. The following are the advantages and disadvantages of laser printers and inkjet printers that I have combined with the experience of many users. These data will help you find the printer that works best for you. Please have a look. In summary, if you print less, take pictures as the main print and have higher quality requirements, but don't care much about its printing speed, then inkjet printers will be the best choice. Most of the needs of this type are home users, small businesses, and so on. 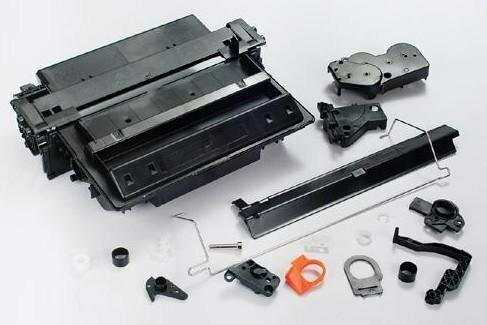 If you need to print a lot of black and white text files, and the speed requirements are higher, then the black and white laser printer will be more suitable for you, because the cost of black and white laser printers is relatively low, and the amount is large, the toner cartridge is more cost-effective. Therefore, laser printers are more suitable for company use. Also, if you want to print color pictures, but may not need to print often, it is recommended that you buy an inexpensive color laser printer. Such as Hp Color LaserJet Pro M452nw. The toner cartridge CF410A used is relatively affordable, and the print volume is large. If it is not used for a long time, the print effect will not change.